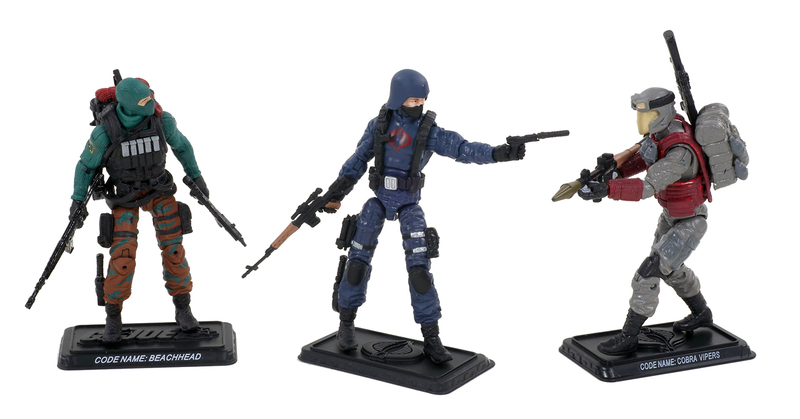 Hasbro Reveals GI Joe 50th Anniversary Line at Toy Fair 2014!!! Well some very exciting news came out over the weekend that definitely clamed the Joe fans out there who were worried that Hasbro would not offer anything for the 50th anniversary of the brand. Hasbro blew my expectations out of the water! 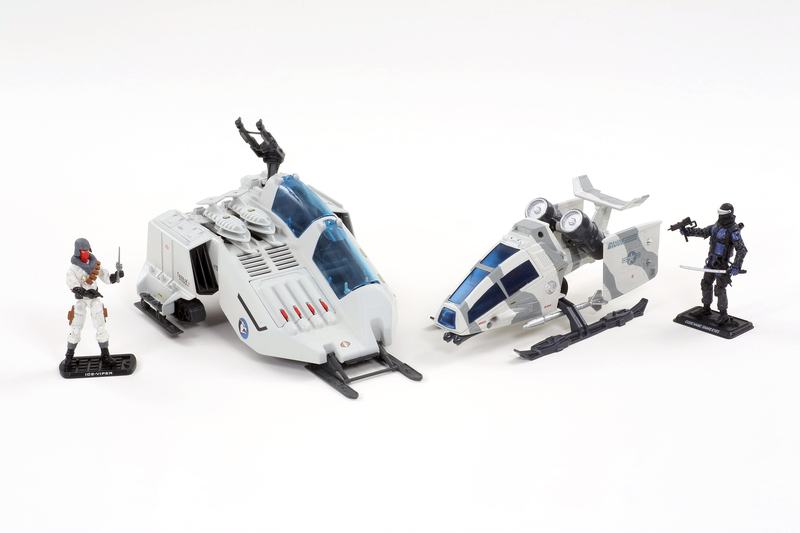 I thought there would definitely be some Kreo figures and possibly a couple figures but I did not expect the huge amount of figures, vehicles and Kreo playsets that were announced! 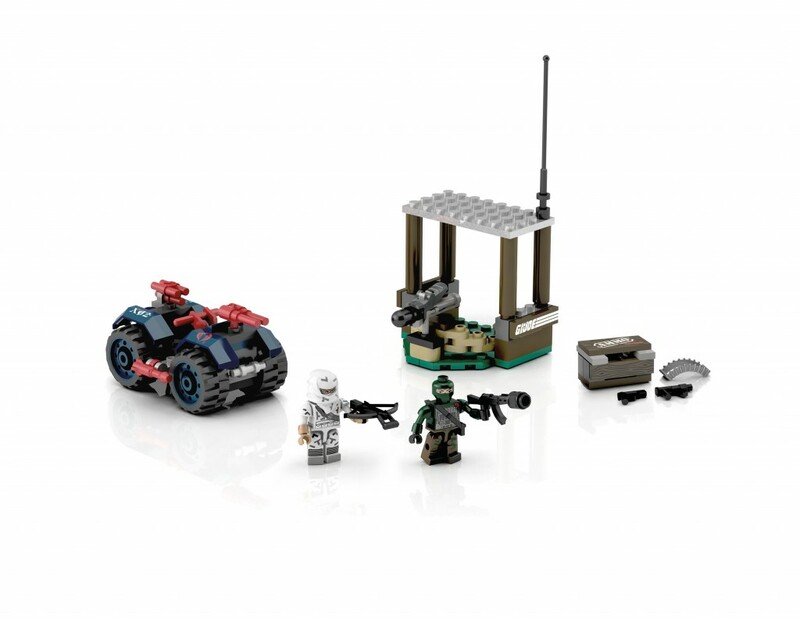 I am really excited for all of the Kreo stuff! 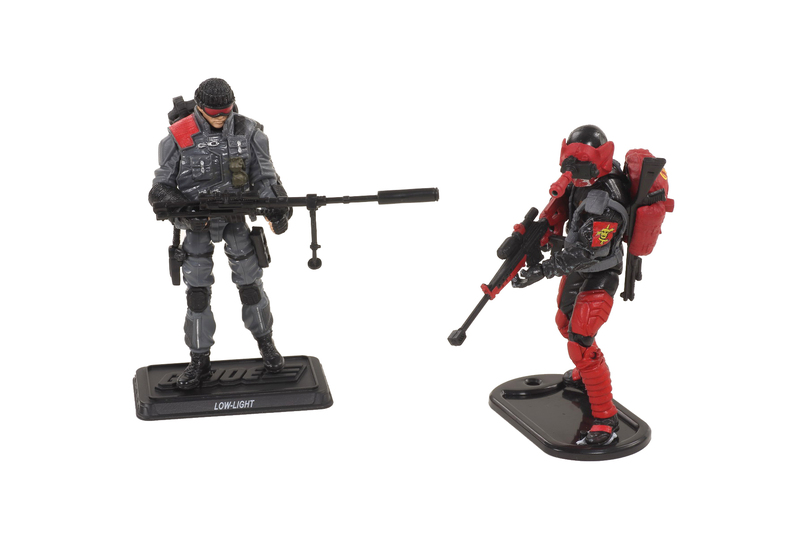 Hasbro has hit a home run with GI Joe and Kreo. 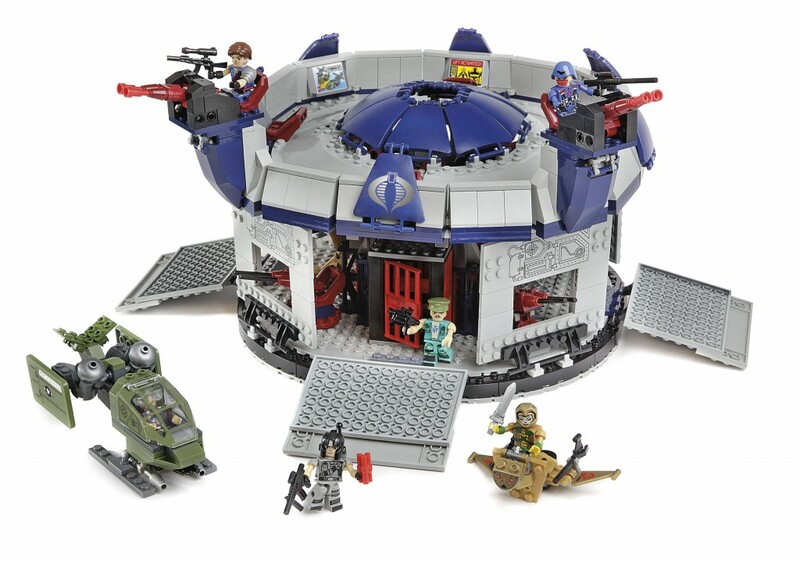 The terror drome will be awesome and I can’t wait to set that one up! I read that the Firebat fits in the silo and that the silo raises and lowers! While most of this is not new, it was leaked on a customer service website several months ago, it is great to see that it ended up being true. Now on to the 3 3/4″ line of figures. 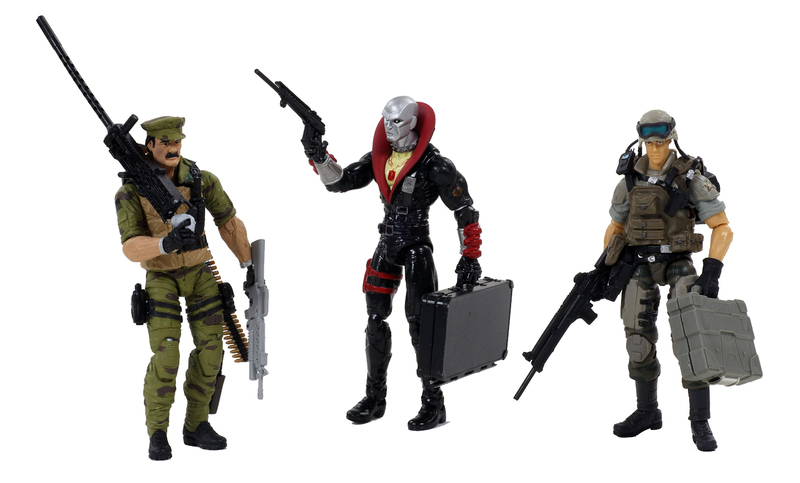 First, this is a lot more than I expected and I hope collectors are happy that there will be GI Joe on Toys R Us shelves the entire year. 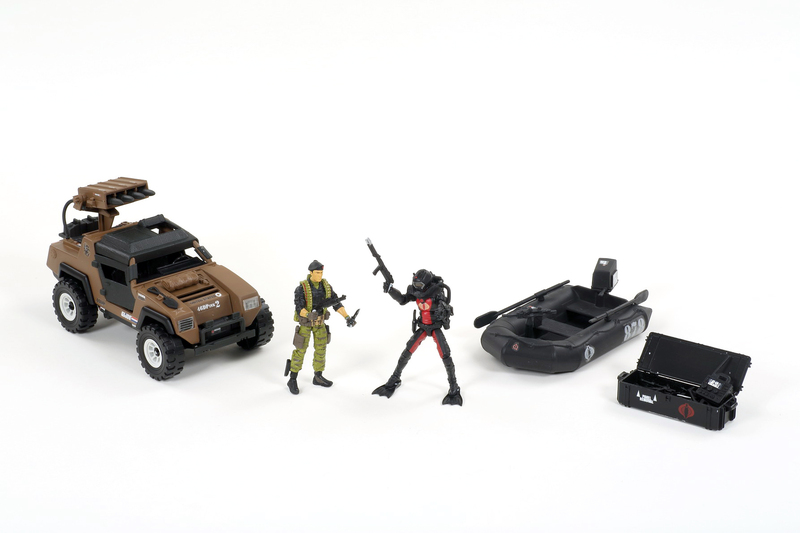 The highlights of the figures and vehicles below for me are: Destro, Flint and Leatherneck. 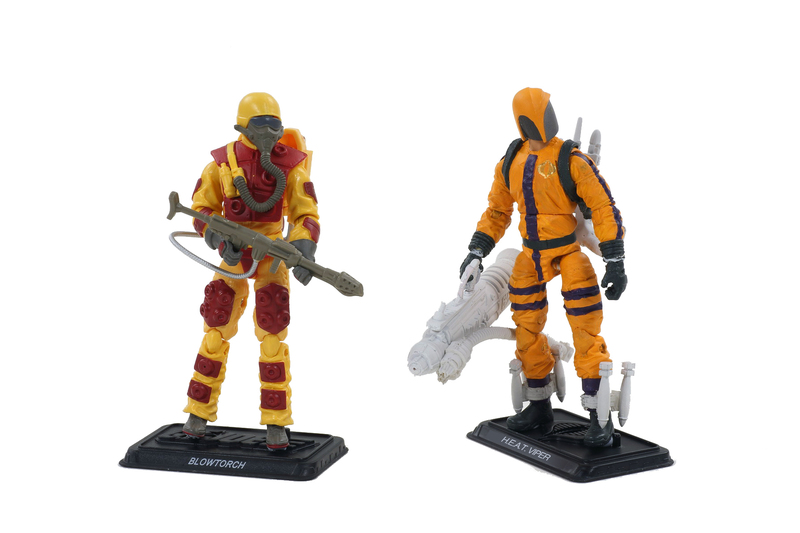 All three of those figures are straight from last year’s Joe Con Concept Vault. 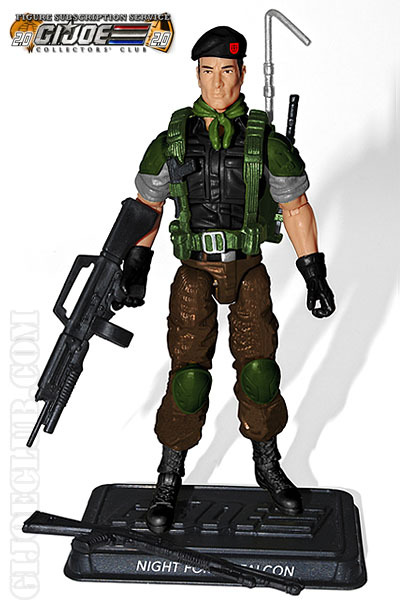 Categories: GI Joe News | Tags: Cobra, G.I. 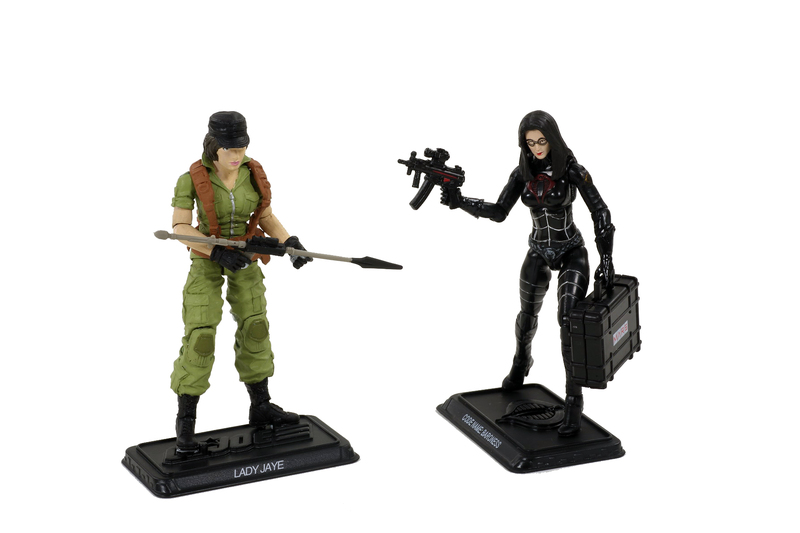 Joe, GI Joe, Hasbro, Kre-o, Leaky Suit Brigade, Toy Fair 2014, Toys R Us | Permalink. Prototype Week Here At the Leaky Suit Brigade! Well guys, I’ve decided that I will post a picture of a new prototype that I acquired everyday this week! I have recently gotten very lucky and I have bee able to pick up quite a few prototypes and test shots. To kick things off, I will reveal my favorite pick up: a 1982 Grand Slam prototype! It is in great shape (minus the missing leg) with tight joints and no paint. 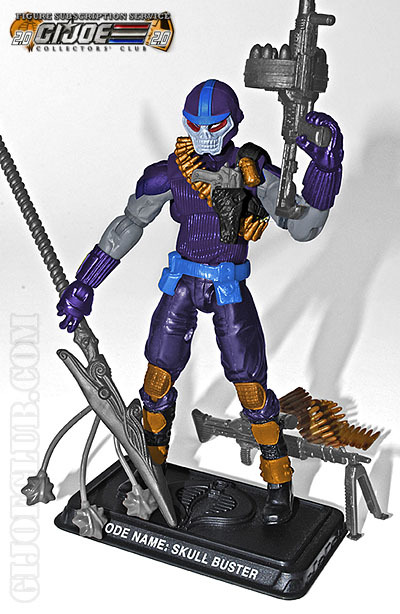 The most interesting thing about this figure is that I actually bought it from a seller in England, so it actually might be a prototype from Palitoy. 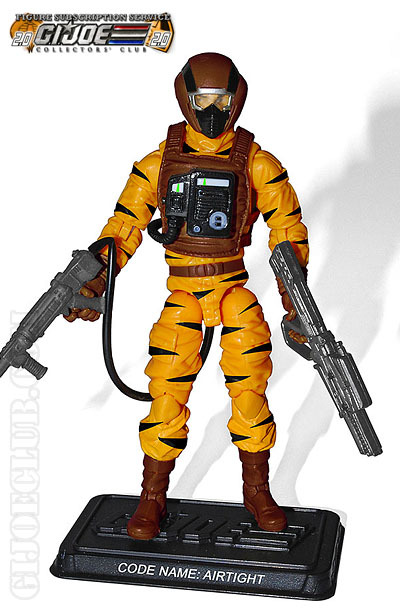 Does anyone out there know if Palitoy made a Grand Slam figure? 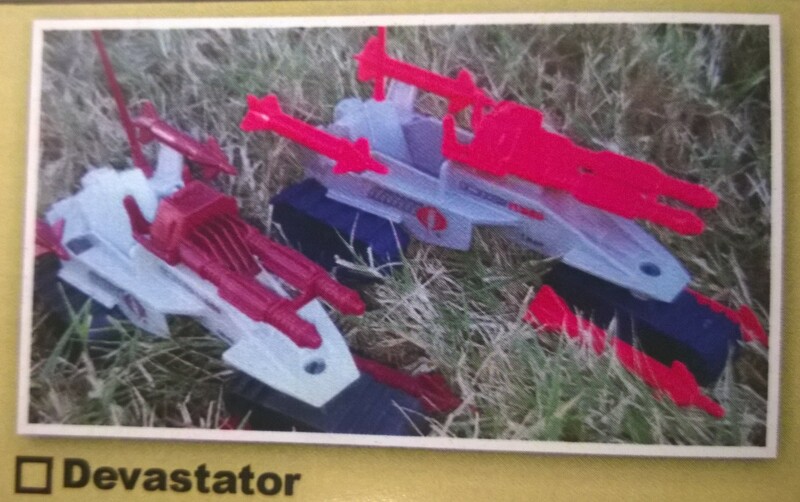 Or could this be something even cooler like the famous mystery figure that is now known as Bombardier? I will be searching eBay for a cheap Grand Slam or Flash leg (since it is the same tooling) to place on the figure, so I can display it standing up. I will continue to post some cool prototype figures and an interesting mock up art piece this week, so check back everyday for something new! 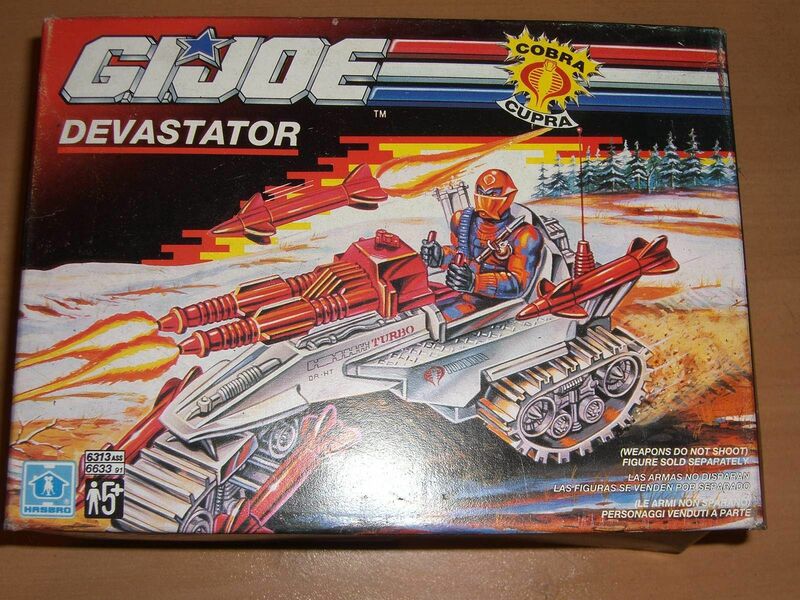 Categories: GI Joe News, New Joes | Tags: 1982 Grand Slam Prototype, Cobra, G.I. Joe. 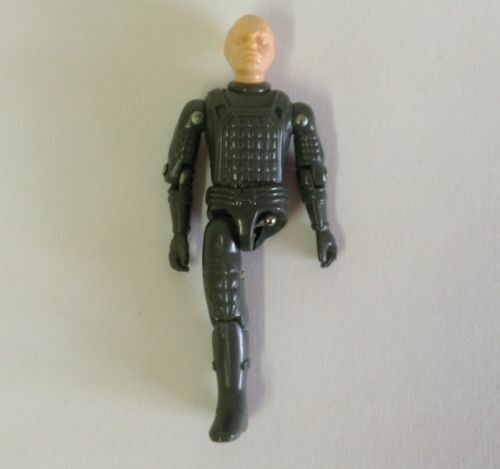 GI Joe Prototype, GI Joe, Hasbro, Leaky Suit Brigade, Palitoy | Permalink. Well for the first time in 20 years, I bought a Batman toy. 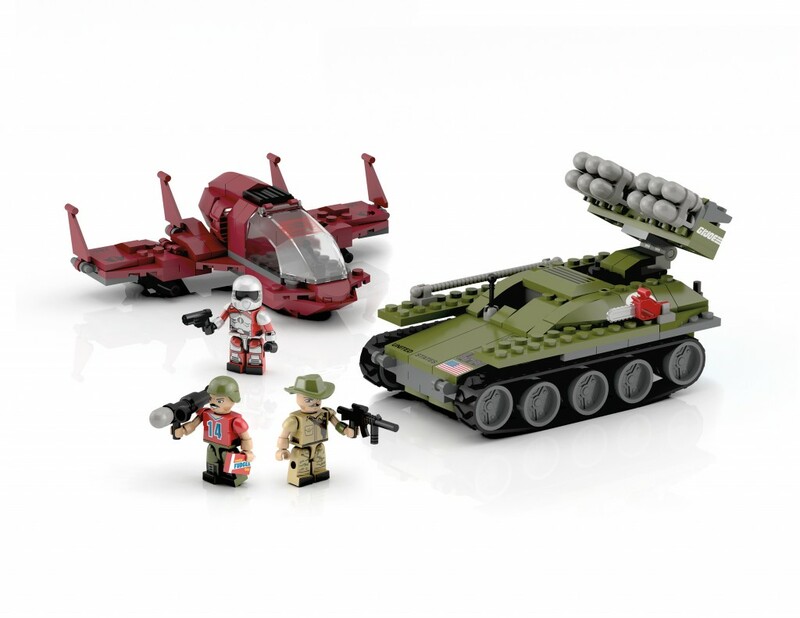 However, this one is still GI Joe related! 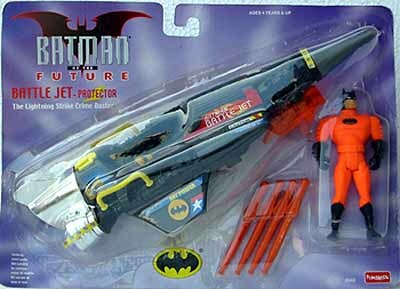 In 2003/2004 (I think) Funskool in India, used the mold from the 1988 Cobra Stellar Stiletto for a Batman jet. I first heard of this about 6 months ago and I had been looking for it, but did not put much effort into it. 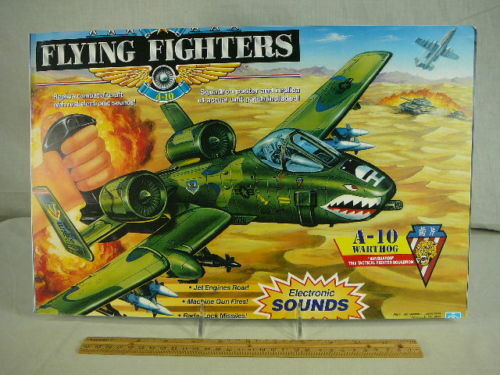 But since I also recently picked up the Bronze Bombers 12-pack which used Joe molds I decided that I would check eBay today for the Batman Battle Jet and I randomly stumbled upon it and picked it up for $10! Categories: Uncategorized | Tags: Batman, Cobra, Funskool, G.I. 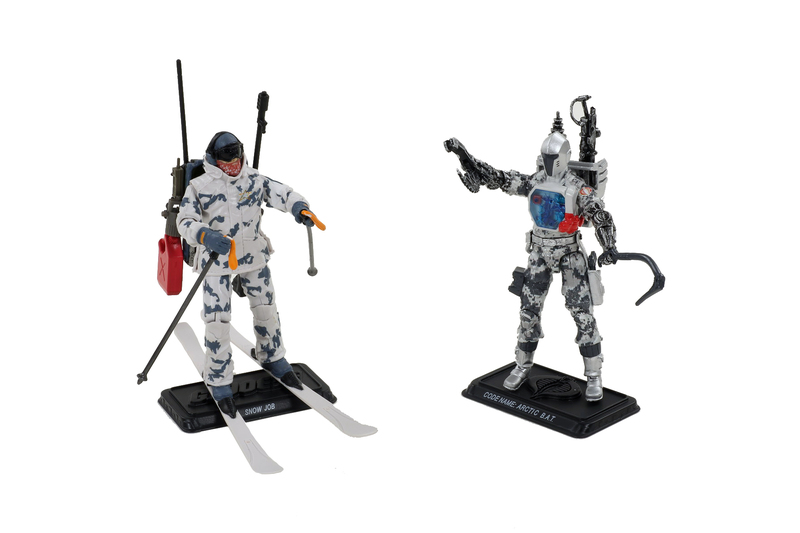 Joe, GI Joe, Hasbro, Leaky Suit Brigade | Permalink. I won this auction off of eBay. 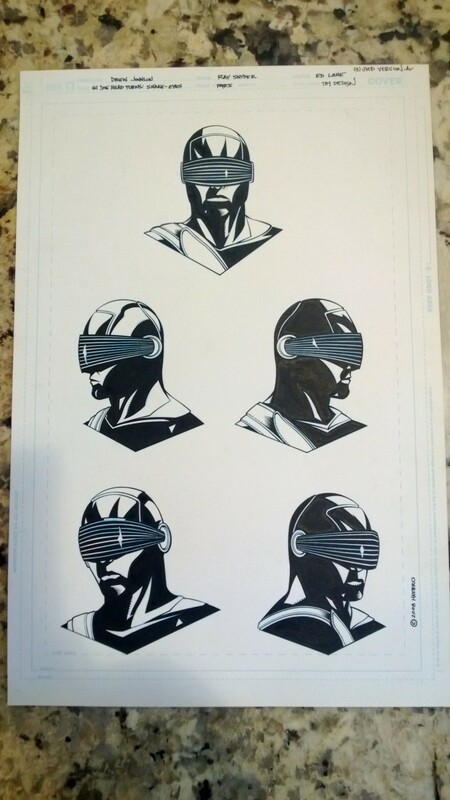 I wasn’t a huge fan of RoC, but that didn’t stop me from picking up this Snake Eyes concept art for an un-used sculpt, with those ugly lips and all! I’ll be framing this and putting it up in the man cave. I will also be doing an “art” week here. I have been focusing a lot lately on picking up original art from the toys, comics, and cartoons and I will be showing off all of the pieces I have recently picked up. 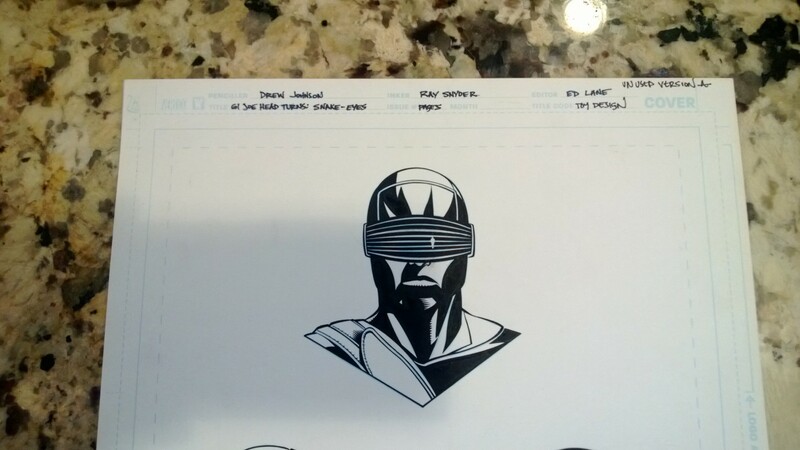 Categories: New Joes | Tags: Art, Cobra, G.I. 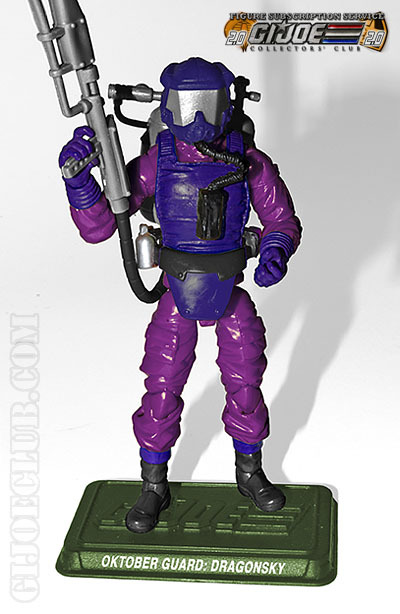 Joe, GI Joe, Hasbro, Leaky Suit Brigade, Original Art, prototype, Prototypes | Permalink.